This heavy duty bar tacking machine purchased by manufacturer quality ropes made from natural or synthetic yarns, for many side applications in NIJKERK - THE NETHERLANDS. This automatic cargo straps sewing machine ordered by a solid group of companies that are engaged in the manufacture of products for transportation, located in Giessen, Netherlands. 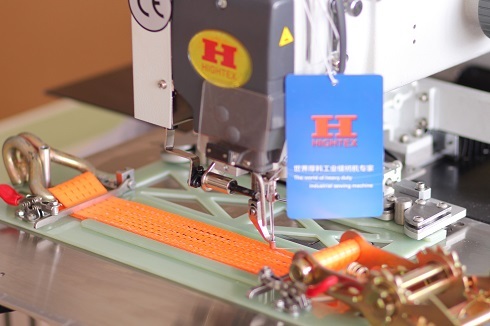 Hightex 828B Automatic hot knife webbing cutting machine this heavy duty industrial length cutting machine is designed for heat cutting 200mm webbing made of Nylon, Polyester, Polypropylene. The temperature of top and bottom heating blades is up to 600 C, can melting 10mm thick textile slings without any difficult. 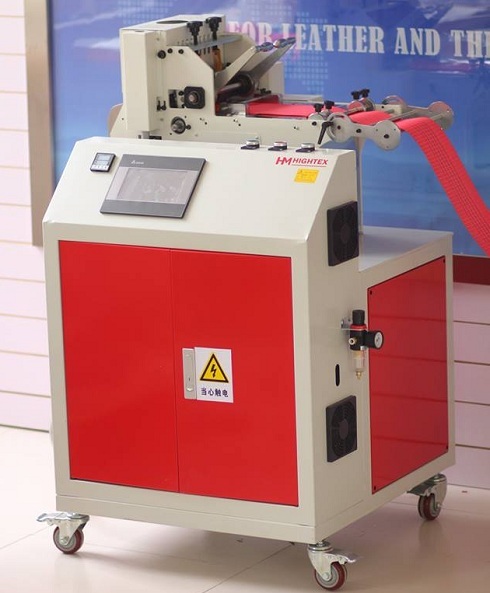 This automatic webbing hot cutting machine purchased by a solid group of companies that are engaged in the manufacture of products for transportation, located in Giessen, Netherlands.